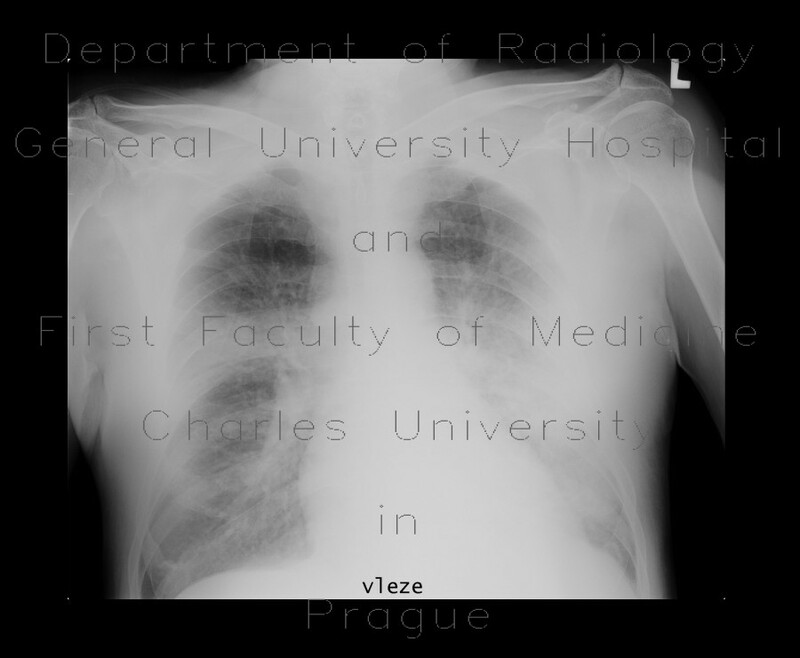 Plain radiographs show infiltrative shadows in both lung wings. Subsequent CT shows airspace consolidation consistent with acute bronchopneumonia, which was confirmed by a biopsy requested by the physician. Follow-up CT shows regression of bronchopneumonia infiltrates leaving a small area of fibrous changes. Unfortunately, next CT showed recurrence of bronchopneumonia.